The iconic eatery celebrates 50 years with a big move to Pioneer Square. 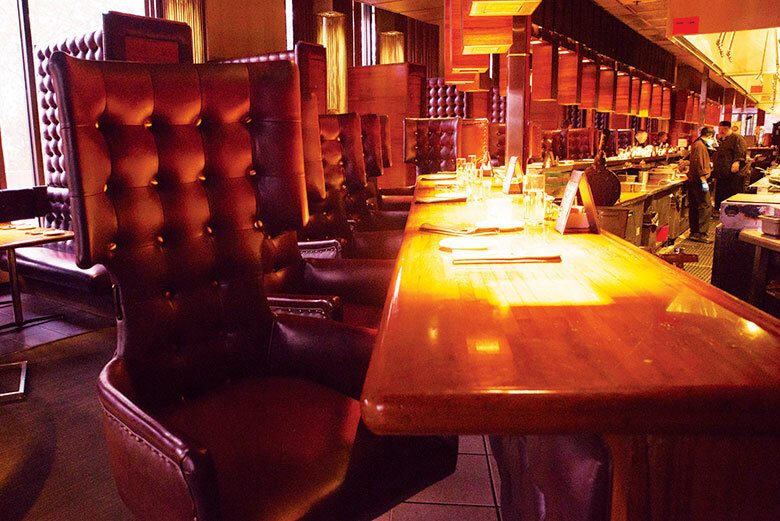 High-backed chairs and booths are a 13 Coins staple. Thankfully, we hear our favorite things about the restaurant are going nowhere. The captain’s chairs at the bar will still be made of Naugahyde, as they have been since 1967, though you can expect a smoother swivel, thanks to advanced chair engineering. Booths will keep their high backs, but have a more contoured, modern look. 13 Coins' meat and veggie tray. Bread baskets are so pedestrian. 13 Coins offers a stainless-steel platter piled with salami (Columbus dry-cured, nothing fancy here), baby corn, pepperoncini, carrots, celery, three kinds of olives and dressing for dipping. The antipasti is complimentary (with the purchase of two entrées), but you may have to ask for it, particularly at lunch; with so many guests in a hurry to eat and run, servers usually don’t mention it before dinner. The chicken parmigiana at 13 Coins. Alongside other old-school star performers, such as the veal scallopine, chicken parm (called “The Believer”) remains on the menu. Back in the day, this was the hangout for the Seattle SuperSonics; big names such as Liza Minnelli and Rodney Dangerfield were spotted here as well. The new 13 Coins at 255 S. King St. wants to maintain its discreet nature—there’s a 175-guest VIP private dining area downstairs, accessible via a patio staircase or from inside the restaurant, where it’s possible that a famous face may be hiding out.